BRUCE SPRINGSTEEN Wrecking Ball/Ghost Of Tom Joad USA 10"
Features two great, rare live performances from 2009 and 2008. Both of these tracks have previously only been available digitally. 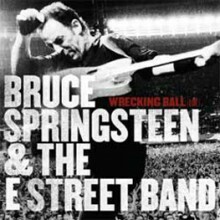 Click the button below to add the BRUCE SPRINGSTEEN Wrecking Ball/Ghost Of Tom Joad USA 10" to your wish list.